The weather is perfect, the zip code is coveted around the world, and it's one of the places to be seen in California. Add to this, 40 acres of lush grounds and canyon trails, 18 tennis courts, a new 10,000 square foot spa, golf at nearby country clubs, and two heated pools, this resort has it all. 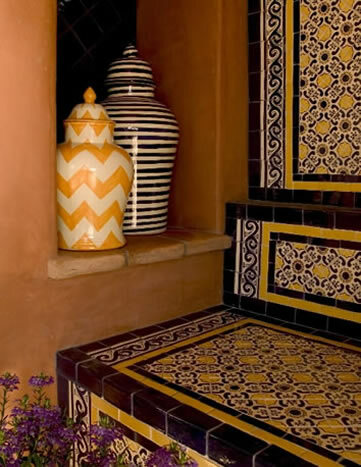 Uniquely designed, the property uses earth-tone stucco walls, clay tile roofs, glazed tile-bordered fireplaces, and plantation-shuttered windows to give it the feel of a California Hacienda, though at times I felt like I could be in Tuscany or the south of Spain. We stayed in a spacious Grove Villa suite, with its over-sized bathroom, which not only has its own Jacuzzi and rain shower but a dual vanity with TV, as well as a dressing-table with lighted mirror, and spa amenities. The walk-in closet is bigger than mine at home. The living area has a cozy gas hacienda-style fireplace making for wonderful romantic interludes. The breakfast nook has a flat-screen television and is perfect for a cup of coffee, a read of the complimentary newspaper (including Wall Street Journal or New York Times, to name a few) and a quick listen to the news in the morning. Cathedral-beamed ceilings overhead, and terracotta tile under-foot, make the environment light and airy, but warm and welcoming as well. My husband, Steve, and I dined al aperto in the courtyard next to a blazing fireplace. The night was chilly, but we were toasty warm under the gas heaters and snuggled up next to the fire. It was a very private and romantic evening, other diners having opted for the formality of the dining room. The service was impeccable, and the food indescribably delicious. We had the Valencia Veal Piccata with cr�me fraiche whipped potatoes, asparagus spears, lemon and capers and the Sake Miso Chilean Sea Bass, with bok choy, snap peas, baby corn, and pearl potatoes. The next day we had the motivation for only one thing: the spa � and what a beautiful spa it is. The double-tiered, six foot diameter, pillar candle chandelier that hangs from the 16 ft ceiling in the waiting lounge, gives it the feel of a turn-of-the-century Spanish villa. Outside, the spa courtyards are peaceful sanctuaries filled with fountains and reflecting pools lined with river stones and dotted with lilies. 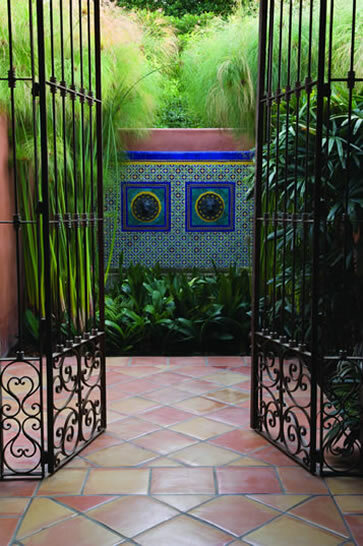 Stacked terracotta pots brimming with purple buds provide a framework for cascading water, and thick-trunked palm trees reach for the sky. Our Valencia Massage was indulgent and expertly handled. 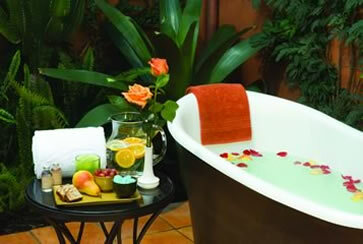 It includes a deeply relaxing massage with warm and cool citrus- and jojoba-oiled stones. 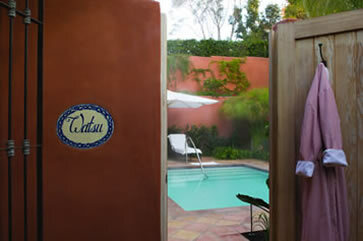 Couples can enjoy a fireside massage in the luxurious couples suite or in the Spa�s outdoor garden. Equally tempting is the 90-minute Tip to Toe Signature Oil Blend massage with a lavender orange hair and scalp treatment and citrus sea salt foot renewal treatment. Spa products include Rene Furterer for the hair, and Epicurean provides most of their lotions. Many of the products used contain fresh ingredients and pure essential oils. The morning menu was almost as tempting as dinner. No banal ham and eggs here. Try the Scottish Smoked Salmon on a toasted Bagel with cream cheese, chives and sweet onion or the Grand Marnier Spiced French Toast, made with a cinnamon raisin brioche and topped with bitter-orange marmalade. 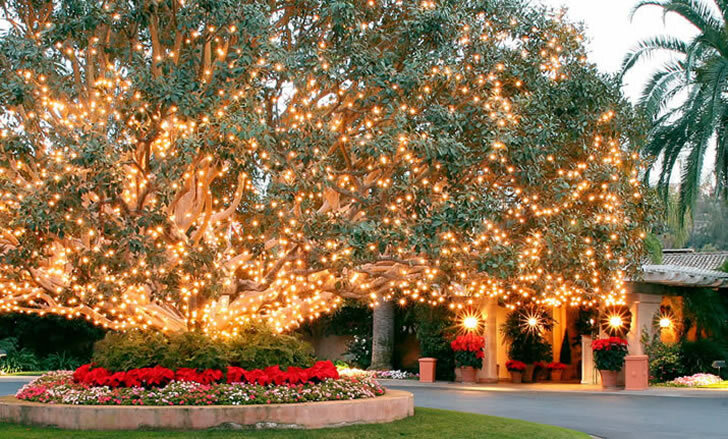 While I would have enjoyed this experience any time of year, I particularly enjoyed the festive decorations adorning the property during the December holiday season. While fellow native New Yorkers might complain that without a blustery atmosphere, it doesn't feel like the holidays, I was extremely satisfied with the alternative: a blue sky and sunshine pouring through the spa courtyard as I lounged in my robe and warmed my tootsies by the fire. Ho, ho, ho goes a long way when it doesn't take a snow-parka to keep warm. Why you'll love it Quiet solitude and old-world d�cor. Good to know The spa features special treatments for male clientele featuring herbal products scented for men. Try their sun-repair facial or front and back buff. It�s advisable to book your spa treatment at least two weeks in advance, if possible. Call +1 858 759 6490. 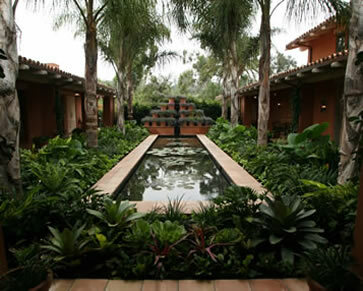 Address 5921 Valencia Circle, Rancho Santa Fe, California 92067, USA. How to Get There From San Diego International. Airport: 24 Miles. Take Interstate 5 north, 15.9 miles. Exit at Del Mar Heights Road, turn right, 0.6 miles. Turn left at El Camino Real, 1.9 miles. Turn right at San Dieguito Road, 2.7 miles. Turn right at Rancho Diegueno Road. Turn left (immediately) at Rancho Valencia Road, 0.5 miles. Turn left at Rancho Valencia Drive, 0.4 miles. Rancho Valencia is a Relais & Chateaux property and The Villas at Rancho Valencia are available under Fractional Ownership title ... read more below. The concept of fractional ownership is one of the hottest trends in luxury accommodation. Fractional ownership is essentially partial ownership of a property and has become very popular with resorts throughout the world. To understand the ownership concept, consider a large and expensive property that may be difficult to purchase and care for on your own. Instead of becoming the sole owner of the property, you purchase a share of it or �fraction� of it, and now you own it with others and share the burden of maintaining it as well as sharing the luxury use. Fractional ownership is not a timeshare. In the fractional ownership scenario, you receive a deed of ownership unlike a timeshare, which is just a usage of the property, without a real estate ownership. Fractional ownership also tends to relate to more luxurious properties, and has more flexibility regarding the time period in which the property is used. 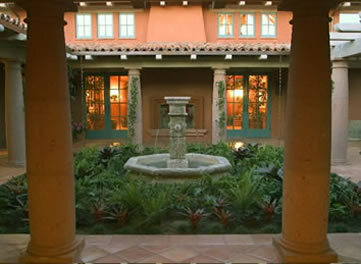 Rancho Valencia offers 12 luxury villas for fractional ownership at a price of $515,000 for a 1/8 interest. HOA (Home Owners Association) dues are $1,000 per month and include utilities, maintenance, insurance, housekeeping, landscaping, security, and use of the spa, tennis courts, pools, and walking trails. As a result of the ownership at Rancho Valencia, an owner can get four pre-planned visits as well as space-available visits. Short-notice visits are also available. They are also associated with the Registry Collection of fine leisure assets www.theregistrycollection.com, and therefore owners may participate in the exchange program related to the collection. Villas are approximately 3,500 square feet (325 square metres), and are fully furnished three bedroom, three and � bath villas with a fully equipped kitchen and array of luxury appliances. There is a surround sound audio system, visual plasma screen TV/DVD player, high speed internet access, dedicated fax lines, private entry courts and outdoor terraces, an individual villa plunge pool and jetted outdoor spa, as well as indoor and outdoor fireplaces and a patio grill. Services include 24-hour room service, bell staff, pre-arrival grocery shopping, and concierge service. By all accounts, the best of the private villa, full-staff option.